702 pages | 364 B/W Illus. This book has an important role in advancing non-classical materials on the macro and nanoscale. The book provides original, theoretical, and important experimental results. Some research uses non-routine methodologies often unfamiliar to some readers. Furthermore, papers on novel applications of more familiar experimental techniques and analyses of composite problems are included. 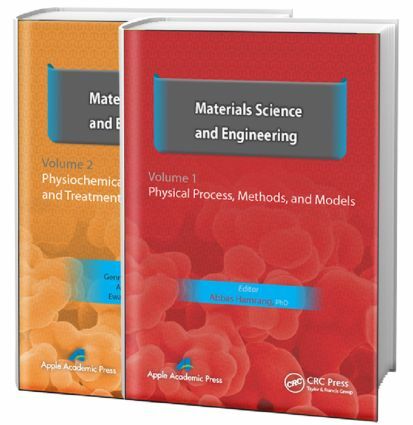 This book brings together research contributions from eminent experts on subjects that have gained prominence in material and chemical engineering and science. It presents the last developments along with case studies, explanatory notes, and schematics for clarity and enhanced understanding. Professors and instructors and postgraduate students focusing on adhesive interaction improvement will find the book valuable, as will industry professionals. Gennady E. Zaikov, DSc, is head of the Polymer Division at the N. M. Emanuel Institute of Biochemical Physics, Russian Academy of Sciences, Moscow, and professor at Moscow State Academy of Fine Chemical Technology, Russia, as well as professor at Kazan National Research Technological University, Russia. He is also a prolific author, researcher, and lecturer. He has received several awards for his work, including the Russian Federation Scholarship for Outstanding Scientists. He has been a member of many professional organizations and on the editorial boards of many international science journals. A. K. Haghi, PhD, holds a BSc in urban and environmental engineering from University of North Carolina (USA); a MSc in mechanical engineering from North Carolina A&T State University (USA); a DEA in applied mechanics, acoustics, and materials from Université de Technologie de Compiègne (France); and a PhD in engineering sciences from Université de Franche-Comté (France). He is the author and editor of 65 books as well as 1000 published papers in various journals and conference proceedings. Dr. Haghi has received several grants, consulted for a number of major corporations, and is a frequent speaker to national and international audiences. Since 1983, he served as a professor at several universities. He is currently editor-in-chief of the International Journal of Chemoinformatics and Chemical Engineering and Polymers Research Journal and on the editorial boards of many international journals. He is also a faculty member of University of Guilan (Iran) and a member of the Canadian Research and Development Center of Sciences and Cultures (CRDCSC), Montreal, Quebec, Canada. Ewa Klodzinska, PhD, holds a PhD from Nicolaus Copernicus University, Faculty of Chemistry in Torun, Poland. For ten years, she has been doing a research on determination and identification of microorganisms using the electromigration techniques for the purposes of medical diagnosis. Currently she is working at the Institute for Engineering of Polymer Materials and Dyes and investigates surface characteristics of biodegradable polymer material on the basis of zeta potential measurements. She has written several original articles, monographs, and chapters in books for graduate students and scientists. She has made valuable contributions to the theory and practice of electromigration techniques, chromatography, sample preparation, and application of separation science in pharmaceutical and medical analysis. Dr. Ewa Klodzinska is a member of editorial board of ISRN Analytical Chemistry and the International Journal of Chemoinformatics and Chemical Engineering (IJCCE).